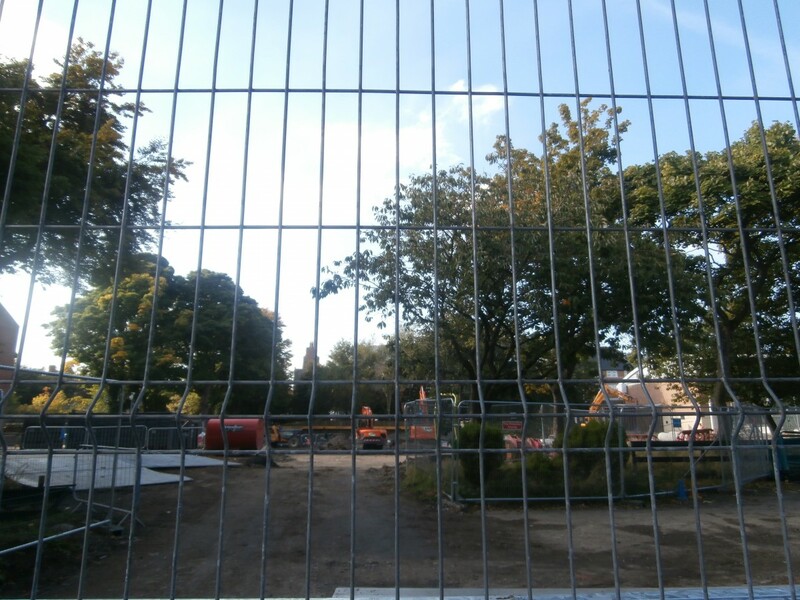 Walking down Tankerville Terrace this week, even from a distance it was evident to all that old Church High building was slowly coming back to life again after its long period of enforced hibernation. 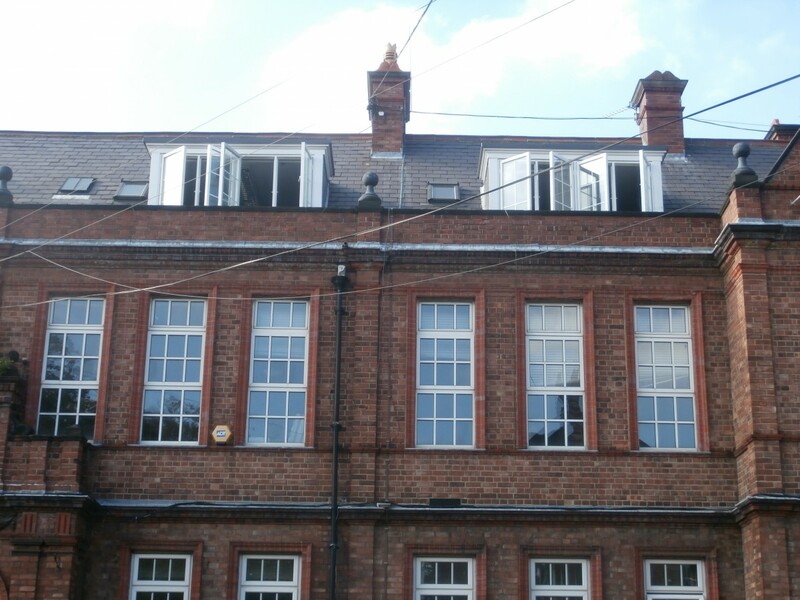 The most obvious change to meet the eyes of regular passers-by was the sight of two of the dormer windows of the old building’s top corridor flung wide open to the air. The sound of loud echoing banging noises emanating from within left it in no doubt that the internal strip-out of fixtures and fittings was now underway. The strip out work begins in earnest on Peter Keen’s Bursar’s & Brenda Cavanagh’s Bursar’s Assistant’s Offices high up on the top corridor of the old Church High main building. Presumably to aid this work, what appeared to be a rubbish chute positioned underneath one of the windows of Room 7, a former Mathematics classroom at the end of the main corridor, was in the process of being constructed by a team of scaffolding contractors. 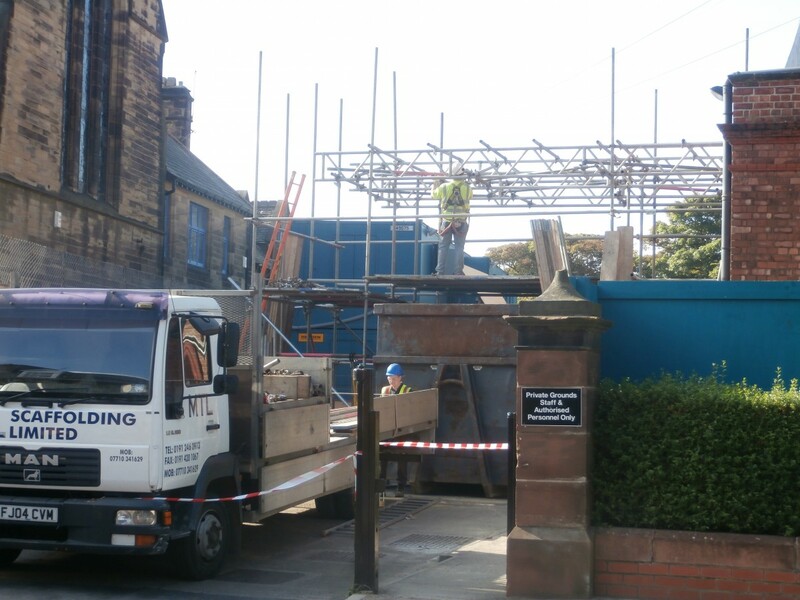 To facilitate the strip-out of internal fixtures and fittings, a scaffolding rubbish chute is in the process of construction. 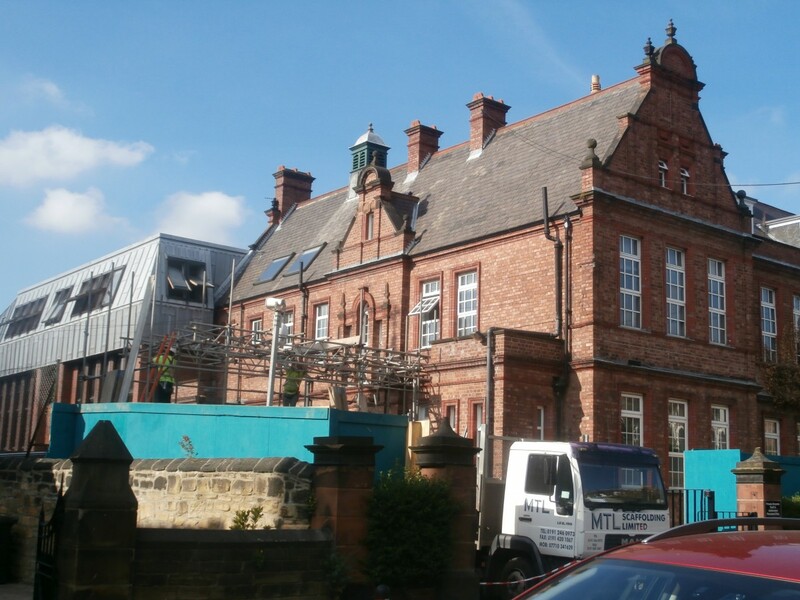 Even before one arrived at the gates of the old Junior School grounds, the sound of heavy machinery in action made it clear that excavation work on the new build foundations was now in full swing. 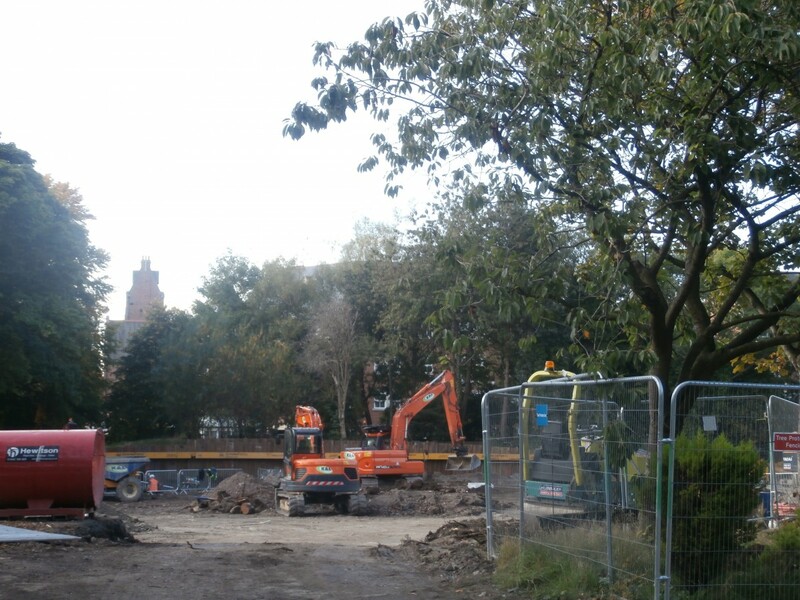 The excavation work is now well underway on the new build foundations in the former Junior School grounds . 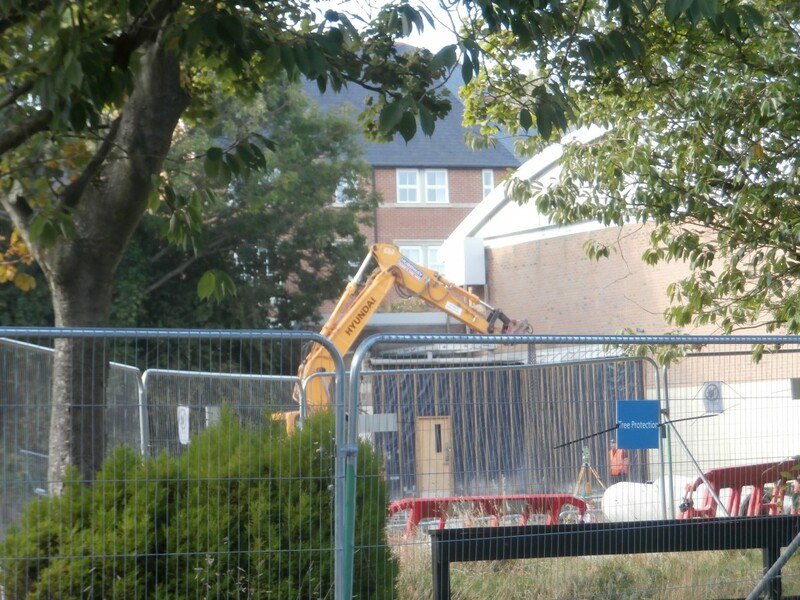 Excavator at work in front of the Sports Hall entrance. 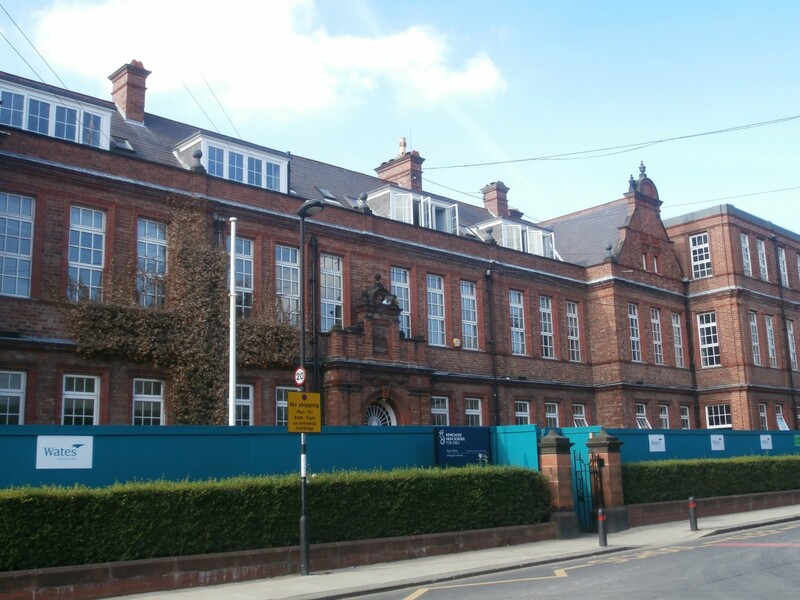 They are stripping out the very soul of our beloved school.